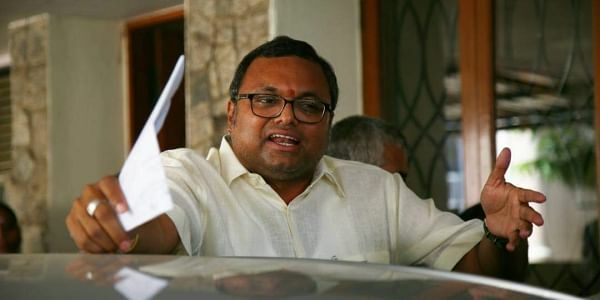 NEW DELHI: The Supreme Court on Thursday will hear a plea filed by Former Finance Minister P. Chidambaram's son Karti Chidambaram in connection with the INX Media case. Karti Chidambaram is seeking permission to travel to the UK. However, the apex court rejected his plea on November 6 after the Central Bureau of Investigation(CBI) opposed it, saying that he might tamper with the evidence, which is very crucial for the ongoing investigation, in the country. In the last hearing, a bench of Chief Justice Dipak Misra and Justices A M Khanwilkar and D Y Chandrachud asked Additional Solicitor General Tushar Mehta to place the confidential CBI documents before it on November 9. It has been alleged that Karti illegally took service charges for getting the Foreign Investment Promotion Board (FIPB) clearance to the INX Media for receiving funds from abroad worth Rs. 305 crore in 2007, when his father P. Chidambaram was the finance minister in Congress-led UPA government.